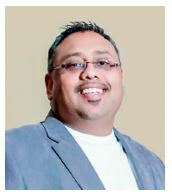 Serendipity Worldwide Group was established in 1996 by Carol du Preez, Lal Jayamaha and Dinesh Naidoo. Together, they have developed a reputable brand by broadening the portfolio to offer all-encompassing solutions and superior customer service, while expanding the industry footprint. Serendipity Worldwide Group's specialist divisions include corporate, leisure, incentives, conferences and events and sports, all of which support customers' individual and group travel needs globally. 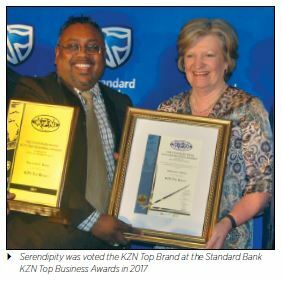 Serendipity's head office is situated in Durban in KwaZulu-Natal and is reinforced by a fully functioning branch in Gauteng, all supporting superior customer service and individualised solutions. includes a passionate commitment to solving industry challenges, encouraging ongoing industry growth and developing existing partnerships, all of which are also critical components of Serendipity's business success. needs. With the aim of being an instantly recognised brand in the Rest of Africa (ROA), Serendipity also created their own trends in the travel space and this ultimately led to global recognition. The leadership team at Serendipity Travel agree that the most valuable item on their balance sheet is enthusiastic, loyal and knowledgeable staff. Consultants are selected based on their in-depth, varied experience and expertise on multiple destinations, both local and international. The reservations team is constantly given opportunities to expand their knowledge and skills as well as raise the bar related to customer service. Skills and competencies are assessed regularly and a detailed training needs analysis supports ongoing development and a clear career path and success plan for each individual. Serendipity Travel aims to exceed customer expectations while remaining reliable and dependable, simultaneously providing maximum value for money and sharing in the excitement that is TRAVEL. Travel for sporting participants, coaching teams, sponsors and supporters of major professional sports teams can be booked by Serendipity Sports. A range of official travel, ticket and hospitality packages are also available for major sporting events worldwide. Various groups, both large and small, are offered access to various international tournaments, among them the FIFA World Cup, Cricket World Cup and the Rugby World Cup. S.I.T.A. (Serendipity Independent Travel Agents) Worldwide Group (SWG) was created in March 2011 to support the growth of small to medium independent travel agents (ITAs). The division is now among the most dynamic and fastest growing independent travel consortiums in South Africa. Partnership with SWG enables members access to growth with the support, systems, licences and expertise of Serendipity Travel. The support team at SWG understands the pressures today's travellers are exposed to and the need for effective time management on every trip. Members offer tailor-made packages and specialised individual components to create an exceptional travel experience. Members maintain the high level of customer service expected by Serendipity Travel and have access to existing Serendipity Travel partner agreements and discounted rates. Serendipity Travel partners include the world's leading airlines, tour operators, cruise liners, car rental companies and hotels, both locally and internationally. Serendipity ICE offers incentive, conference and event solutions to meet a multitude of customer needs on a large or small scale. The team has covered extensive conference programs, with multiple breakout sessions, serviced special-interest groups, managed congresses, team building - and endurance events, gala dinners and themed award ceremonies. Product launches are unique and characterised by personal commitment from every member of this team. Hosting successful events in various parts of the world, the Serendipity ICE team only operates within internationally accepted standards of best practice. Serendipity Communications has worked with marketleaders and world class brands to create innovative design and communication solutions with measurable results. From design conceptualisation and strategy to project management, the team constantly delivers creative solutions, adding tangible value to all stakeholders. 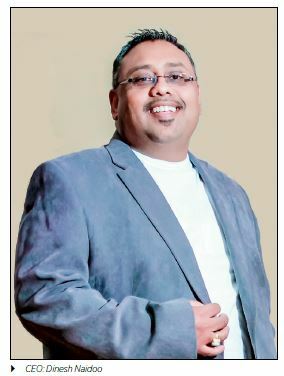 Serendipity Productions was founded in 2003 and is key to successfully distributing South Indian movies to both Ster Kinekor and NuMetro cinemas. Serendipity Travel supports a range of corporate social investment projects in local communities in South Africa. The importance of giving back and constantly contributing to the betterment of others is the golden thread that runs through the entire organisation and its operations. Services / Products: Corporate, leisure and incentive travel worldwide. Our mission is to perfect the art of travel by managing and exceeding the expectations of our clients through creativity, commitment and customer care, whilst focusing on excellence in quality and dedicated professionalism. To be the leader and first choice travel agent and tour operator in Africa.